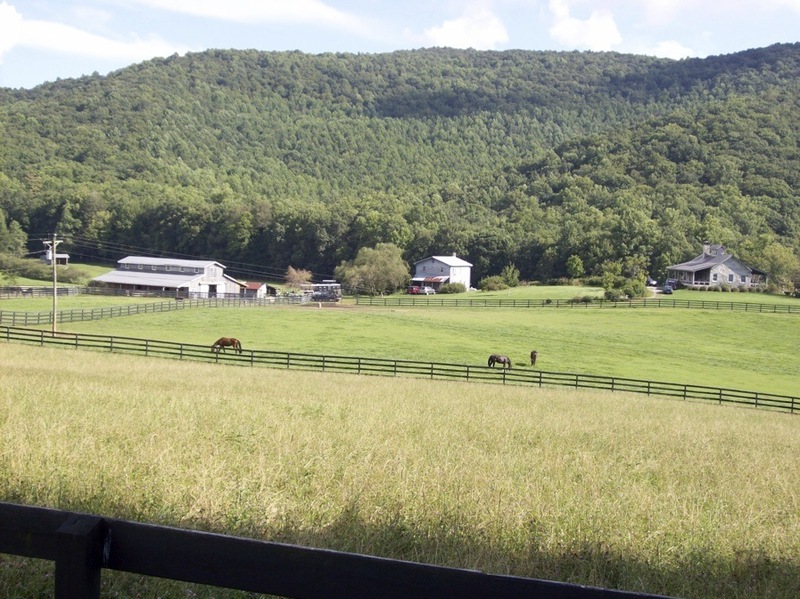 There are lots of things to see in Suches, along the race route and nearby, such as the above view across the valley at the High Valley Hanoverians horse farm to the ridge in the background where the Appalachian Trail runs on its way from Georgia to Maine. 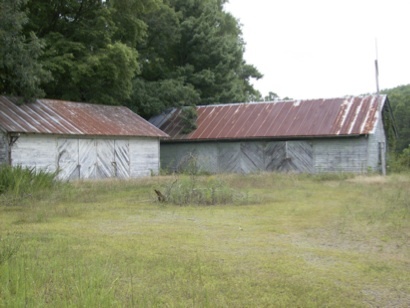 Opened in 1940, the school was the joint project of individual citizens, the county government, and US Forest Service, WPA and CCC. 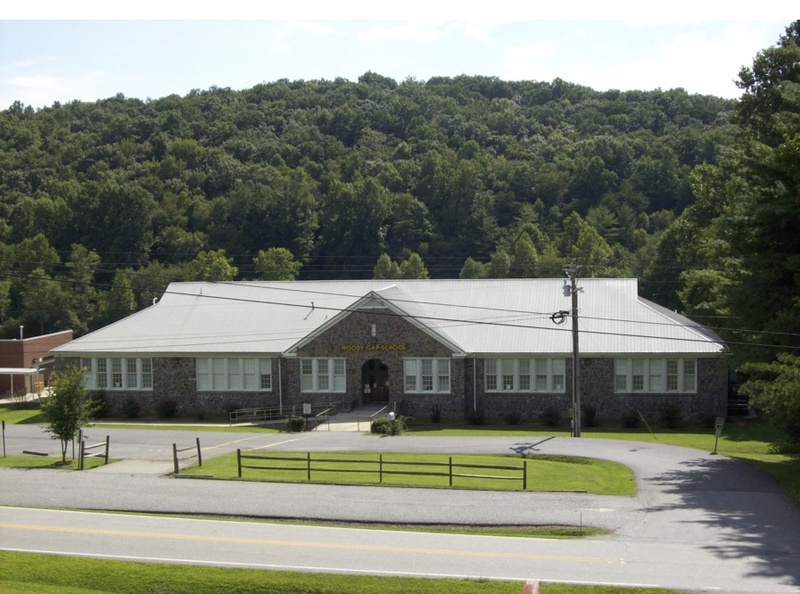 It consolidated several one- and two-room schools located throughout the community. 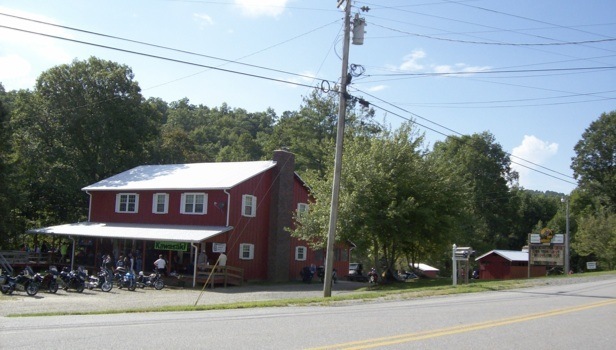 It is across from the Suches Community Center and is the site of the Indian Summer Festival. 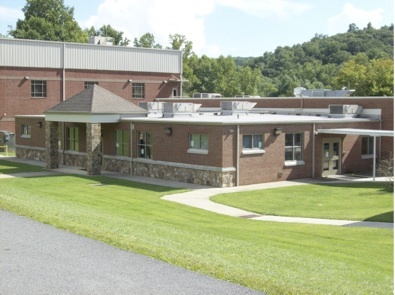 The new media center and lunch room replaced older facilities in the '90s. 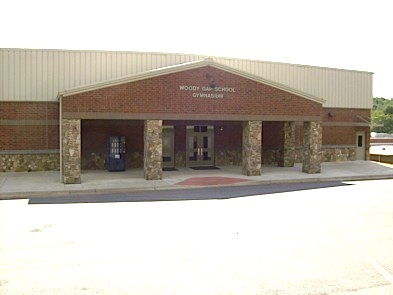 The new (2009) gym replaced one whose components were donated for reuse at the Community Center gym. 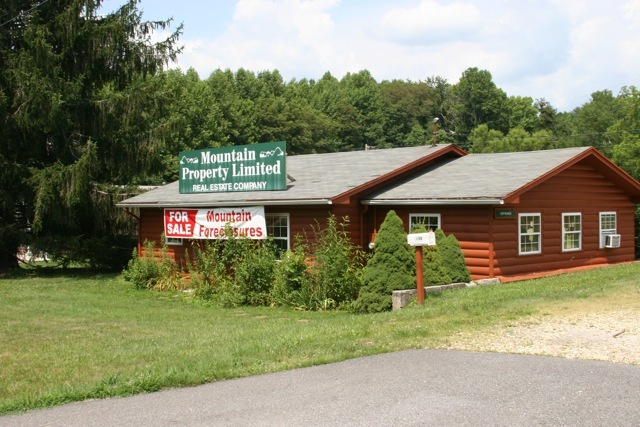 Mountain Property Limited, right next door to the store, can help with all of your real estate needs. Brothers Tommy and Patrick White and crew keep Suches warm all winter. Shortly after runners pass Budget Propane early in the race, the dam which is the outflow for Woody Lake is on the left. It’s a favorite picture stop for many folks passing through. 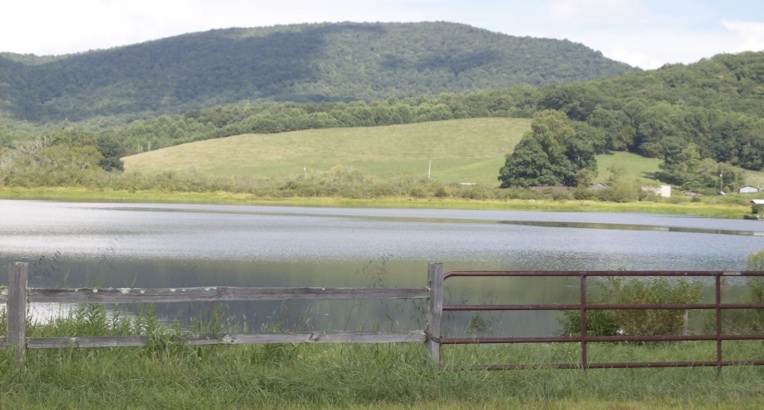 The best view of the lake for runners is on the return leg. 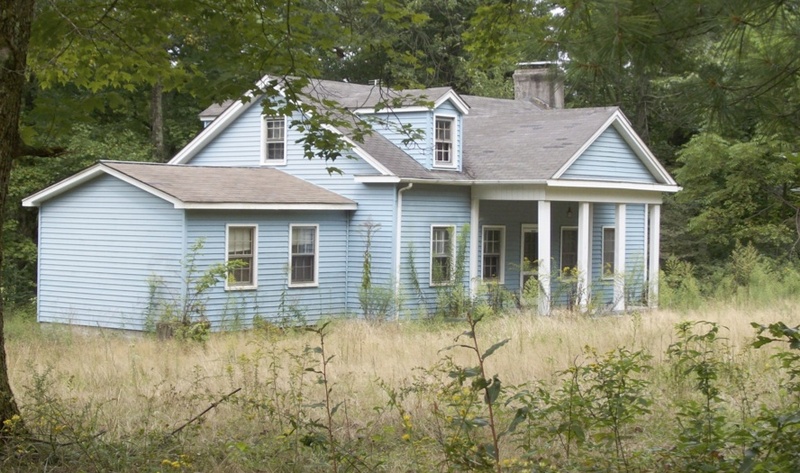 This building was originally the Forest Service headquarters and was later converted to a residence. 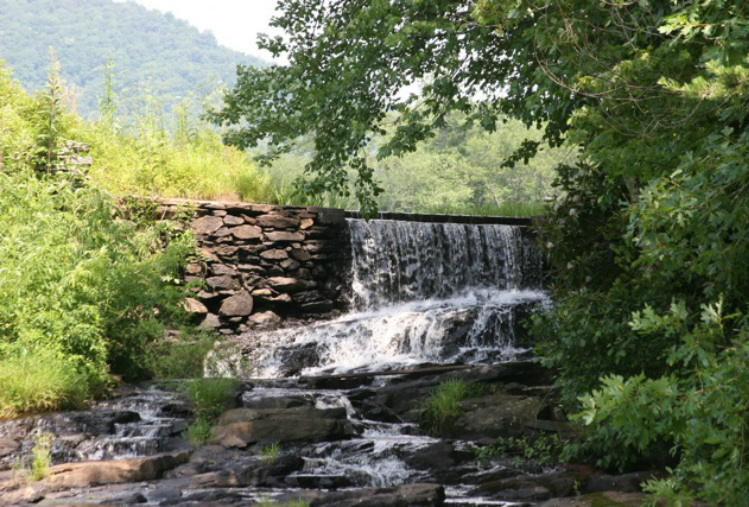 It is owned by a descendant of Arthur Woody, who was one of the first USFS rangers in the Eastern US and a noted conservationist. 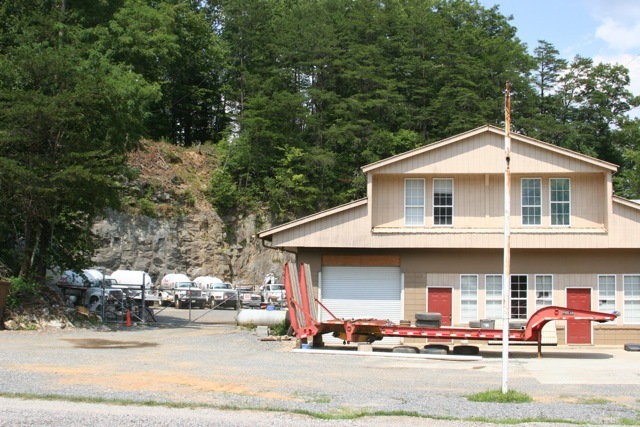 Work center buildings housed vehicles, tools and supplies, and work areas. Mt. 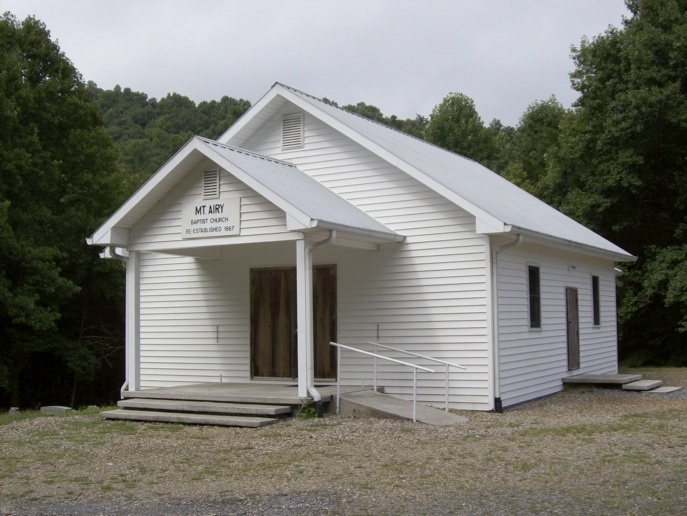 Airy Baptist Church was “re-established” in 1867. 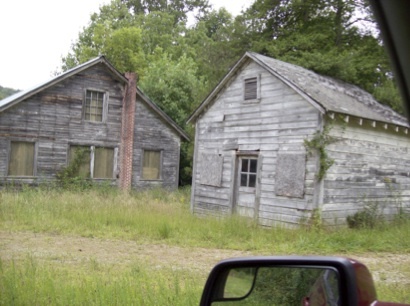 It is believed that it was formerly a Presbyterian church that was moved to the present location in that year. 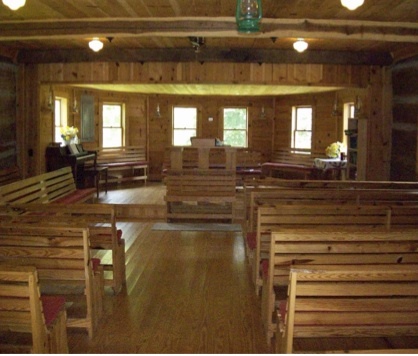 That may explain the unusual configuration of pews (shown in the left photo below) which may be a variation on arrangements used by the Presbyterians. 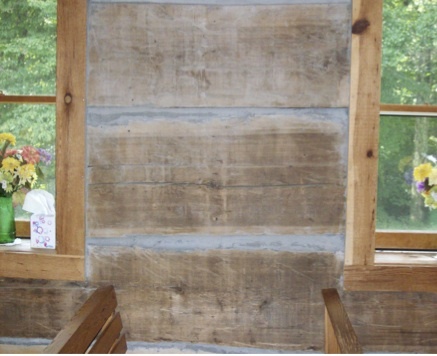 The church was built with large chestnut logs, as can be seen in the photo at right below. Note the women’s entrance (now unused) on the right side (above), which forced them to bow as they entered.